Darshan Chauhan is a Graduate Research Assistant at the Department of Civil Engineering at Portland State University pursuing his MS. 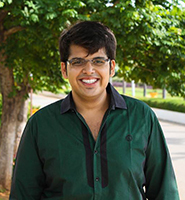 He is currently working on an NSF Grant to improve the reliability of Network Assignment models with Prof. Avinash Unnikrishnan. He is interested in the area where optimization, sustainability and civil engineering intersect. He is still exploring the field of transportation engineering and is fascinated by how it transcends through various disciplines. Before coming to Portland State University, he completed his B.E. in Civil Engineering at BITS Pilani Hyderabad Campus, India where he pursued research in optimization, fracture mechanics of concrete and alkali activated binders. He loves cooking and spends his free time swimming, cycling, trying new food and hiking. 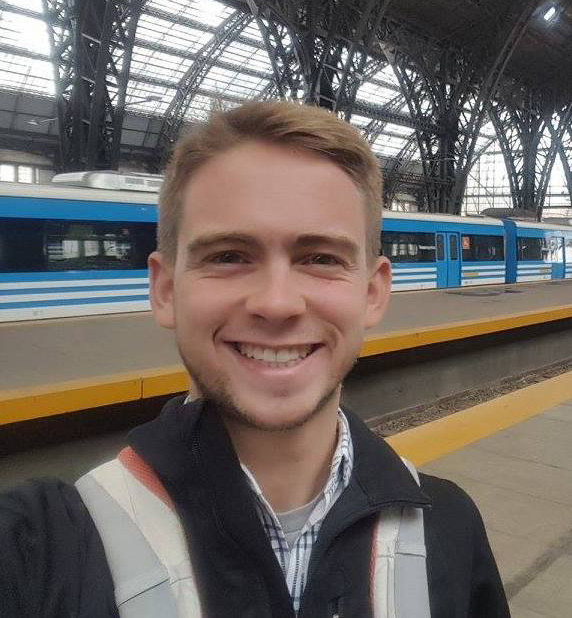 Travis’s undergraduate research on public transit at PSU led to his first publication in the TRR as lead author and a BS in Civil Engineering with honors in 2015. As a master's student, he developed multiple methodologies to quantify and visualize transit operations. Travis is now pursuing a PhD focused on transit network models. So far, his ongoing research has led to five peer-reviewed publications, four lectern sessions at TRB annual meetings, and a master's thesis. Travis has also been an active member (holding officer positions) of many PSU student organizations and PSU partnership programs with local high schools. 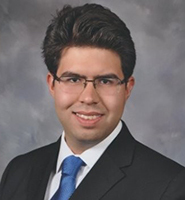 Jaime Orrego is a Ph.D. student for the Department of Environmental and Civil Engineering at Portland State University. He holds a master degree in transportation engineering from Universidad de Chile in Santiago, Chile, where he grew up. He has worked as a traffic engineering and has advocated for transportation equity with a special interest in bicycles and pedestrians in different nonprofit organizations. His main research focus is the effect that the built environment has in walking behavior. When not thinking about transportation Jaime likes taking pictures, watching movies, and socializing with friends. Dylan is a Civil Engineering student going into his junior year at Portland State University. 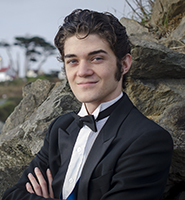 Initially a Mathematics major, Dylan switched to engineering after falling in love with Portland’s public transit systems and bicycle infrastructure. He hopes to help Portland and other cities adopt incentives for less personal vehicle use and promote more sustainable transportation, such as transit, cycling, and walking. Dylan is currently a research assistant working for the Transportation Technology and People Laboratory at PSU. With the assistance of Miguel Figliozzi, the director of the TTP lab, Dylan just completed his first research assignment: to determine if Autonomous Delivery Robots could be used alongside traditional delivery methods to deliver parcels to customers. In his free time, Dylan enjoys walking his family’s dog to the local park, riding his bike, and playing video games with friends. Katherine is an undergrad research assistant at the PSU Maseeh College of Engineering and Computer Science. She works with the Transportation Technology and People (TTP) lab, with a current focus on bus-bike conflicts. 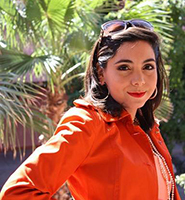 As a post-baccalaureate civil engineering student, her transportation interests are supplemented by her bachelor’s degree in interdisciplinary design studies (Arizona State). She is an active member of Students in Transportation Engineering Planning (STEP-ITE), ASCE, and president of the PSU Chi Epsilon. During her junior year, she won first place in the Mead technical paper competition at the 2018 Pacific Northwest ASCE Student Conference. Katherine has served Multnomah County for the last 6 years volunteering free respite childcare for foster families. In her free time, she is likely enjoying karaoke. 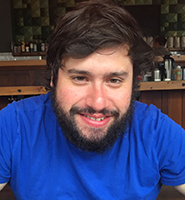 Baxter Shandobil is a transportation planning student in the Master of Urban and Regional Planning program at Portland State University. During his time at PSU he has had the opportunity to work as a research assistant with Dr. Kelly Clifton on some exciting research projects. Most recently, Baxter worked on a project sponsored by Portland Bureau of Transportation and Portland Bureau of Planning and Sustainability to study the carbon impact of driving behavior and vehicle characteristics in the Portland Metro region. Baxter enjoys applying GIS to planning and transportation research, particularly in support of alternative modes of transportation. Between growing up in Seoul, Korea and Lincoln, Nebraska; and studying abroad in Hannover, Germany Alice experienced vastly different transportation systems and wanted to pursue a civil engineering degree in order to make a positive impact on the natural and built environment. She is interested in designing safe and functional bicycle and pedestrian infrastructure to create healthier and cohesive communities. She assisted Dr. Kelly Clifton with a Caltrans project analyzing the transportation impacts of affordable housing and has also volunteered her time with The Street Trust (formerly known and the Bicycle Transportation Alliance) and Better Blocks. Alice recently completed her post-bacc in civil engineering to add to her architecture degree. In her free time she is learning new ways to navigate through the vast PNW landscapes via skiing, snowshoeing and bouldering. Kelly is in her first year of the Civil Engineering Master's Program at Portland State University, taking courses related to both transportation engineering and planning. Additionally, she is working for the university as a Graduate Research Assistant. Her undergraduate degree is from Pacific Lutheran University in Tacoma, Washington just a few miles from where she grew up. At PLU, she was a student-athlete and very involved with the student-athlete leadership group on campus. Though she does not have a specific passion in transportation, she is very interested in how to improve transportation engineering and planning practices with the continual evolution of technology, as well as improving safety and using transportation as a way to combat equity issues. Santiago is a civil engineer that focuses on transportation, especially multi modal transportation. He holds a B.S in Civil Engineering from the University of Notre Dame and is currently working on an M.S in Civil Engineering at Portland State University. He got into transportation after observing and sometimes experiencing the different mobility constraints car-only transportation systems impose on society. From the elderly couple that cannot longer leave the house because they are unable to drive, to the college student who cannot afford an automobile and is therefore constrained to places he can reach by foot, we all deserve better. Santiago sees transportation as more than a tool to get people from A to B; he believes transportation has a role in fighting climate change, air pollution and promoting a more active lifestyle. His interests span bicycle infrastructure design, multimodal travel simulation, and safety issues on our roads, sidewalks and bikeways. His current research is centered on developing safety measures for pedestrian and bicyclist crosswalks on the Oregon State Highway System. 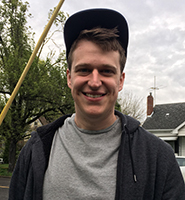 Jake Davis is a first-year Masters of Urban and Regional Planning student at Portland State University. While attending undergrad in Vancouver, BC, he built his love for cities and in particular transportation and sustainability. After six years in the software industry, he came back to school to pursue his dream of becoming a planner. He is a graduate research assistant under supervision of Dr. Aaron Golub and Dr. Liming Wang whose current work is around evaluating equity access and operational performance of transit lines in the Portland region. He is also presently an intern doing work around climate and disaster resilience at the Portland Bureau of Transportation. Outside of school, he enjoys running, baking, and spending time with his partner and two cats. 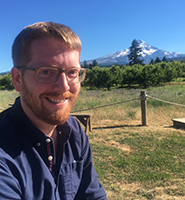 Matt Gray graduated with a Master of Urban and Regional Planning degree at Portland State University in June 2018. He moved to Portland from Salt Lake City two years earlier for the MURP program with a particular interest in public transit, and became a cyclist living here. A lifetime interest in maps and fascination with cities made this career-path a no-brainer for him. He worked as an hourly research assistant for Dr. Aaron Golub, and completed internships with Better Block PDX, Linnton Neighborhood Association, and TriMet. The highlight of graduate school for him was traveling Oregon by bus for his team’s MURP workshop project. He loves to commute by bicycle and transit, and hopes to make a career of improving transportation options for everyone. 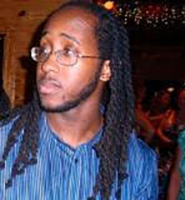 Jamaal Green is a doctoral candidate in the Department of Urban Studies and Planning. 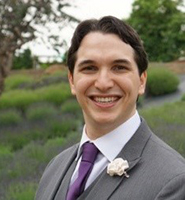 His dissertation focuses on linking land-use and economic development policy by examining the prevalence and impact of industrial land policy across the fifty largest cities in the US. He received his masters in urban and regional planning from UNC-Chapel Hill, specializing in economic development. Self-identifying as an equity planner, Jamaal's research interests are primarily concerned with the ways that the built environment and transportation systems exacerbate, or alleviate, social and economic inequality. Jamaal is currently working on a NITC funded project estimating the economic impacts of new bike lane infrastructure in partnership with 6 cities, and is working on an R package with Prof. Liming Wang and Prof. Dillon Mahmoudi (UMBC-Dept of Geography) that queries the US Census's LEHD datasets. Michael Harpool received his BA in Geography at Keene State College in southern New Hampshire. Through his experiences and studies he developed a passion for active transportation research which brought him to the Master of Urban Studies program at Portland State University. As a Graduate Research Assistant at TREC he has worked on various research projects topically focused on sustainable transportation issues. 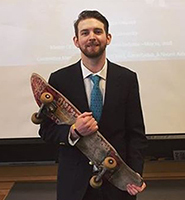 Through his thesis research on utilitarian skateboarding, Michael hopes to advocate for more inclusive transportation networks which accommodate the needs and desires of diverse users. 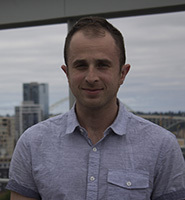 Steven Howland is a Ph.D. candidate in the Nohad A. Toulan School of Urban Studies and Planning at Portland State University. His dissertation is explores how low-income African-American populations in Portland use transportation to make ends meet with an interest in how gentrification impacts their travel options and decisions. He has a Masters in Urban and Environmental Planning from Arizona State University where his thesis focused on the spatial mismatch between low-income and minority workers and their jobs in the Phoenix metropolitan area. In his time at Portland State, he has been involved with multiple transportation research projects such as the Peer-to-peer carsharing study and the Bike Share Equity projects where he was able to apply his passion and knowledge of equity issues to transportation. His ongoing transportation research interests involve transportation equity issues related to emerging technologies and gentrification as well as data quality problems in existing survey data for equity related research questions. 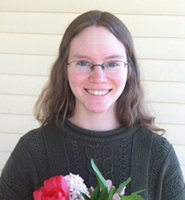 Stephanie is a graduate student in the Masters of Urban and Regional Planning program. She is currently working as an intern with the Portland Bureau of Transportation and playing a lead role in an iterative project to develop circulation plans for school districts and campuses across the metro area with a focus Title IV schools. Her background in housing advocacy and working with vulnerable and marginalized families in Portland’s gentrifying neighborhoods led her to Portland State to better address changing communities and the role of public investment. These efforts further materialized further with her work on Elevating People: Planning for Equitable Transportation to Marquam Hill, an equity lens developed for Oregon Health and Science University during 2018 MURP Workshop. 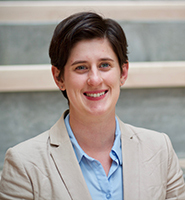 Eavan Moore is a graduate student in urban and regional planning. Her volunteer work with OPAL Environmental Justice led her to see transportation planning as a viable professional path for a public transit advocate who also believes in prioritizing marginalized communities in decision-making. She continues to apply an EJ framing to active transportation, housing, auto use, climate resiliency, and all the other elements of a thriving 21st century human settlement. 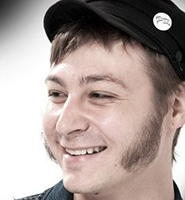 Nick is currently a first year Urban Studies PhD student and working under Prof. Dill. Prior to taking up study in Portland, he was working at the Chinese University of Hong Kong as a teaching assistant and researcher in their urban studies program. During his master's program he was a GRA and did transit related research while earning his MURP. Originally from Chicago, Nick interned at the Chicago Transit Authority and worked in the Chicago Department of Transportation's Bike Program as a bikeways technician. Finally, when not working in the transportation planning field, he was a bike messenger in Chicago for several years. 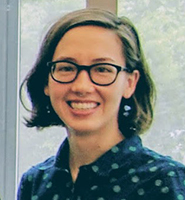 As a PhD student in urban studies at Portland State University, Kelly conducts research on the role, nature, and quality of evidence in transportation decision-making and evaluates place typologies for their ability to capture variation in travel behavior. 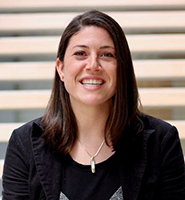 Kelly is also the Executive Director of Streetsmart, a research synthesis, resource clearinghouse, and communication platform for transportation planning. As a consultant, she has developed a pedestrian transportation plan, led the development of a sustainable transportation planning tool, analyzed the performance of green infrastructure plans and stormwater facilities, and developed a community-scale solar panel purchasing program. She is currently collaborating with the Institute for Transportation Engineers to build Streetsmart Beta. Prior to Streetsmart, Kelly was a consultant working in sustainable transportation and green infrastructure, a city planner with the City of Portland, and the Paul Gerhardt, Jr. intern for 1000 Friends of Oregon. 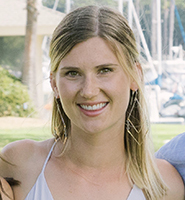 Kelly graduated with a Master in Landscape Architecture from the University of British Columbia and a Bachelor of Arts in Urban and Regional Planning from Miami University. Kelly is also the co-author of Cartopia: Portland’s Food Cart Revolution. 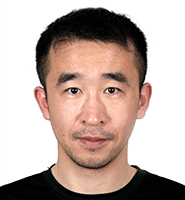 Wei Shi is a PhD student in Toulan School of Urban Studies and Planning at Portland State University. She received her masters degree in Human Geography in China, and worked at AECOM as an economist for one year before joining PSU. 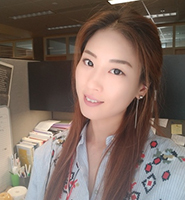 Wei is strongly interested in research about travel behavior, transportation and economic impacts of transportation infrastructures, particularly focusing on bicycle. She is also interested in transportation data and modeling, and exploring multiple data sources and methodologies to answer questions of why and how people get around, and what are the impacts on communities. 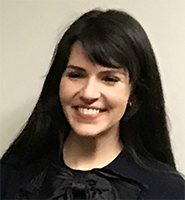 Maria Sipin has a background in health communications and research for nonprofit health care and local transportation advocacy work in Los Angeles. She is experienced in community mobilization for issues ranging from national adolescent health initiatives for LGBTQ youth of color and local active transportation projects to prioritize the needs and rights of low-income communities of color. She currently serves as an advisory board member on her fifth year for People for Mobility Justice (formerly known as Multicultural Communities for Mobility), and is passionate about storytelling, leadership development and pathways for higher education for young people of color, addressing inequities within institutions, and making urban planning processes more accessible and inclusive. She has developed anti-oppressive frameworks in the private consulting realm and facilitates trainings in-person and through webinars. She happily connects self-expression and community building through art and hip-hop to her urban planning work, where she first started convening young people and artists through Session [A] at Cal Poly Pomona in undergrad for &quot;Open Mics, Open Tables, Open Floors, Open Minds.&quot; She is completing her degrees in Master of Urban &amp; Regional Planning and Public Health program at Portland State University and Oregon Health &amp; Science University. She is a certified bicycle safety instructor (LCI #3846), a “Walking College” fellow alumni (class of 2016), IBPI Active Transportation Scholar (2017-2018), and NITC Scholar (2018). She was awarded the Gail Achterman Leadership Scholarship by WTS Portland in 2017. 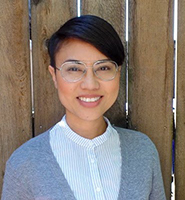 Seyoung is a PhD candidate in Urban Studies from the Nohad A. Toulan School of Urban Studies and Planning at Portland State University, with a specialization in community development and planning. Her research focuses on reinvestment and the repair of the urban fabric in marginalized immigrant communities of color through an equity lens. She has participated in a couple of research projects on planning for transit-oriented development without residential displacement of low-income communities with Dr. Lisa Bates, as a graduate research assistant. 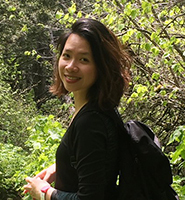 Her dissertation will address a multidimensional approach to gentrification and displacement utilizing a mixed-methods for equitable development of marginalized Asian immigrant communities in transit-oriented neighborhoods in Los Angeles. Her passion lies in neighborhood change, racial justice, equity participation and just outcomes in planning to advance equity in under-served communities. In her spare time, she enjoys walking on the beach, cooking new recipes, and planning her next travel destination. She holds a Master’s degree in Community and Regional Planning from the University of Texas at Austin, and another Master’s degree in Urban Planning and Engineering from Yonsei University in Korea where she was born and raised. 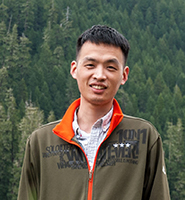 Huijun Tan is a PhD student in Toulan School of Urban Studies and Planning in Portland State University. With a master degree in Social Work from Washington University in St. Louis, her research now primarily focuses on transportation equity research and gentrification impacts on marginalized populations and communities. She is dedicated to investigating how accessibility affects gentrification in low-income neighborhood in order to get more insight into the relationship between transportation planning and neighborhood change. Her research also looks forward to identifying mechanisms of preventing or mitigating the adverse impacts (derived from transportation investment) on communities, especially for minorities and low- income neighborhoods. Also, she wants to look into the relationship between physical capital (such as land use and transportation infrastructure) and social capital (e.g. social connections and social networks). To more specific, she is interested in the topic about how transportation accessibility affects social capital for the marginalized populations. She is critical about how transportation development can truly yield equitable outcomes. In her free time, Huijun loves to hiking, dancing, playing badminton, and traveling. 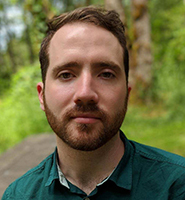 Kevin Tracy is a second year Masters in Urban and Regional Planning (MURP) candidate in the Nohad A. Toulan School of Urban Studies and Planning at Portland State University. He is currently working as an intern in the Major Projects Unit at the Oregon Department of Transportation, focusing on Active Transportation projects including Safe Routes to School. As a licensed Civil Engineer, he enjoys working at the intersection of planning and engineering to help solve complex urban problems. He is passionate about connecting communities to essential social services and using transportation systems as a way to drive economic development. In his spare time, he enjoys reading, biking, volleyball, and cooking. Shen Qu is a Ph.D. student in Toulan School of Urban Studies and Planning at Portland StateUniversity. He received his master's degree in Tsinghua University in China. He worked at CAUPD (China Academy of Urban Planning and Design) and CCDG (China Construction Engineering Design Group) as a senior urban planner for fifteen years before joining PSU. Shen is interested in research about transportation and urban development, particularly focusing on the measurement of ridesharing ratio. He also conducted research about TBD (Transit Benefit Districts) which explore the relationship between the transit stations and land value. Outside of school, Madison and her wife are training their new dog roll over and high five. They live together with the many houseplants Madison has collected over the years, including the ficus that refuses to cooperate, and her three cherished Star Wars Lego sets. Madison moved to Portland from rolling hills of Louisville, Kentucky in 2012. She is very open about how much she misses the thunderstorms, lightning, and her work on the family’s farm. Professionally, Madison is first a data nerd. At a close second, she is a passionate transportation planner who dreams of one day having a winter morning commute along Chicago’s Metra rails while they’re being de-iced by open flames. She’s been a land use and transportation planning focused graduate student for the past three years. In her final year she partnered with TREC on a FHWA Environmental Justice Research project and with a fantastic team of peers to create an equity informed guide to access to OHSU. She has recently been recognized for her leadership and academic contributions from APA, APTA, and WTS and in May completed the ENO Center for Transportation Future Leader Fellowship. Zoie is a student in the Master of Urban and Regional Planning program at Portland State and a planning intern at WSP, where she is stoked to be working on California High Speed Rail, ODOT's Value Pricing Analysis and a Bus Rapid Transit project in Tacoma, WA. Zoie intertwines economic development with transportation policy and planning, helping mold a world in which we travel happily and efficiently; a world in which transportation ignites rich city character and encourages sustainable behavior. In her spare time, Zoie is often reading a novel on the bus or pouring over maps in pursuit of her next adventure. 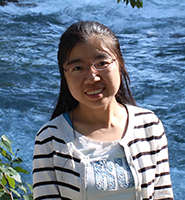 Huajie Yang is a PhD student in the Nohad A. Toulan School of Urban Studies &amp; Planning at Portland State University. He received his M.A. in Urban Planning and Design in China. He has served as an officer with Students in Transportation Engineering Planning (STEP), the student transportation group at Portland State University. Huajie is interested in research on the impact of transit on travel behavior and traffic congestion. Now he is working on a project that investigates the long-term travel and land use outcomes in response to various policy and technology scenarios by simulation with Dr. Liming Wang. During his spare time, he likes to watch NBA games, especially the Portland Trail Blazers’ games, and play basketball with his friends. 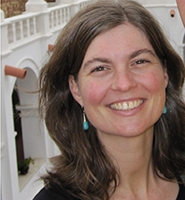 Holly Barton is a graduate student in the Master of Science Planning program at the University of Arizona. She grew up on a small ranch in Dilkon, Arizona, located in the southwestern region of the Navajo Nation. Her knowledge stems from her cultural identity and Dine’ fundamental principles like “Hozho” (Navajo for “harmony”) and “K’e” (Navajo for “kinship”) that provided a greater understanding of the complex relationship shared between people and nature. Her personal and professional goal to assist indigenous peoples locally and globally with decision making on planning for the future with an emphasis on sustainability, conserving natural resources, transportation, and improving communities. Prior to the University of Arizona, she earned her Bachelor of Science degree at Arizona State University and is currently in the process of applying to Doctorate programs. 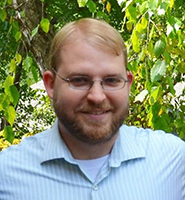 Adrian Cottam is a transportation engineering graduate student at the University of Arizona. He loves to combine traditional transportation engineering techniques with computer science and data science to find new and innovative ways of solving everyday transportation problems. Adrian works in the Smart Transportation Lab at the University of Arizona helping to conduct applied research to help solve transportation problems in the local community and across Arizona. His most recent project was developing a transportation data visualization web application for the City of Tucson, and he is currently working on a project to develop a ramp metering evaluation tool for ADOT. 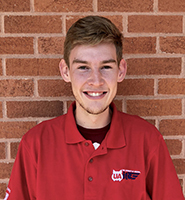 Adrian is an officer in the local University of Arizona Institute of Transportation Engineers student chapter, and has been the Teacher’s Assistant for the department’s Introduction to Transportation class two years in a row. 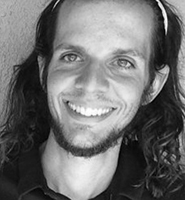 As a PhD student in Geography at the University of Arizona, Joey studies how to different types of cyclists interact with and move through the built environment as well as how they interact with other road users. The end goal is to work with cities, such as Tucson, AZ, to identify areas for improvement, enforcement, or education to create a safer city for cycling. Joey is an avid cyclist- both as a commuter and racer- and is the president of the UA Cycling Team. 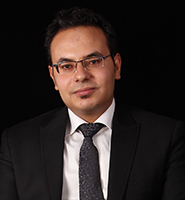 Abolfazl Karimpour is a Ph.D. student and a graduate research assistant in the Smart Transportation Lab at The University of Arizona. He holds a B.S. in Civil Engineering and M.S. in Highway and Transportation Engineering. His research has been primarily focused on Traffic Safety, Performance Measurement, Big Data and Freight Transportation. Mr Karimpour is currently serving as the president of the University of Arizona Institute of Transportation Engineers (ITE) student chapter. Previously, he worked as a programmer in the East Electrical Economic Energy Research Groups. 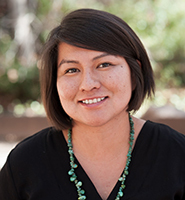 Monica Landgrave-Serrano is a graduate student in the Master of Science in Planning at the University of Arizona. She has a Bachelor in Architecture from the University of Sonora in Mexico, and a Master of Urban and Regional Development from the Polytechnic University of Catalonia in Spain. Her main research interests revolve around the improvement and expansion of active travel modes for all kinds of people. 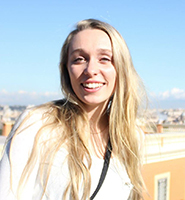 She has been able to learn more about urban transportation and social equity thanks to her position as a research assistant with Arlie Adkins, PhD, which focuses on how to best capture the built and social environment contributors to perceived walkability. Kyle Sorlie Titlow is a second year master's student in geography at the University of Arizona in Tucson. He completed research on spatial patterns of transit accessibility in the suburban neighborhoods of Greater Buenos Aires, Argentina, focusing on the degree to which people who live in semiformal and informal housing communities are able to access critical services and destinations (e.g. schools, hospitals, employment centers, public offices, and the transport system itself). This project is part of Kyle's broader interests in the social, economic, and political contexts of transportation systems and their geographies as well as learning more about the transportation planning process in the cities and countries of the Global South. After graduation, he will look for work as a GIS analyst or researcher before eventually pursuing a PhD in geography, urban planning, or urban studies. Kyle owes his interest in public transit to growing up and attending college in the Hampton Roads region of southeastern Virginia, where he spent a lot of time trying to imagine solutions to the less-than-spectacular transportation system (most of which, in fairness, are attributable to the area's weird geography). Nathan Chadwick finished his Masters in City & Metropolitan Planning at the University of Utah in May of 2018. His specializations in Smart Growth & Transportation and Urban Design stem from Nathan’s passion for reducing dependence on automobiles and reimagining cities to be places people want to be. His professional project created a new qualitative metric for assessing walkability. Nathan received undergraduate degrees in Political Science and Economics from the University of Arkansas, where he also acquired a love for running as a means to explore new places (and stay healthy). He now works as a Transportation Planner for Valley Metro in Phoenix, Arizona with aspirations to enhance the lives of Valley residents and connect communities. In his free time, Nathan enjoys running, going to concerts, watching sports, and spending time with friends and family. 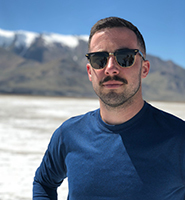 Nathan Jellen is a Master’s student in City and Metropolitan Planning at the University of Utah and is pursuing an emphasis in ecological planning. Prior to his studies at the U, he received a BA and MA in French Studies from Brigham Young University. His graduate work at BYU focused on the appropriation of prominent places in 16th-century Paris by the different political factions of the Fronde. At the U, his interests are in dark sky protection, gateway and natural amenity community planning, climate action, and environmental justice.